"Games are as important as movies because they also have a story". - that's something a younger version of myself would probably say. Let's face it, games have always looked upon their older brothers to mimic their style, but what works in movies rarely works in games. Interaction is a new word we are still trying to get used to, and that's perfectly fine. Learning how to tell stories is always hard when using new tools. For many years we thought stitching together "shooting parts" and cinematics was the way to go, we would later realize this felt rather clunky. Narrative and gameplay don't seem to be a great fit at first glance, as writers we want our characters to be able to talk, run, jump, hide, use items and perform a wide variety of actions; but as game developers that's impossible to produce, we may give the player some freedom and hide our system's limitations, but it will never be the same. Think about classic point and click games, they had puzzles and those tend to have simple rules that the player can understand and predict. When playing Sokoban you know what's going to happen everytime you push a box, that's because the rules are clear to the player. On Monkey Island you might find a reasonable solution for a puzzle, which might not work, leading to player frustration as they feel unable to interact with the system. Marrying together gameplay and narrative isn't easy at all, sometimes one might reign over the other, but when both work together games truly shine on their own. So yeah, interactivity is a whole new language that we're slowly learning, but good news is we're making progress. I just wanted to stop for a minute and point out a few games that used interactive narrative in a clever way that could serve as inspiration for future projects. Hope you find it interesting. Note. : I will stay away from multiplayer, VR games and similar experiences, these can also lead to really interesting conclusions but are not the focus of this text. I'm just going to say it ... ... "Dark Souls"! Yes, that game does come out a lot when talking about game narrative, but it's for a good reason. Watching a movie is a rather passive act, you can sit and do nothing and it'll still keep advancing. If we stop pressing buttons in a game our character will stop moving, that's an active experience. Still we usually communicate our stories through passive methods(cinematics), just like in a movie. "Dark Souls" doesn't tell a story through cinematics or dialogs, instead players will need to find items, collect them, think about why they were in that spot, read their descriptions and put the pieces together; making understanding the story part of the gameplay. That's great because learning about the world is no longer a passive action and it's using game's unique language. It's not something we could easily split in different parts, but a whole creative piece that feels highly coherent. Same thing happens with walking simulators, in which mechanics might be simple or limited, but narrative is also perfectly embedded in the gameplay. I like procedural generation a lot, in fact, I've written a couple of articles here on Gamasutra about it, but I don't think we should be building worlds entirely based on computer algorithms, these lack the polish and the depth of a hand-crafted design, but can be used to enhance our creations. For years we have tried to create meaningful choices in our stories, often at the expense of lots of production resources, but procedural generation can help us shape our world based on player actions without wasting thousands of hours on creating story-branchs. 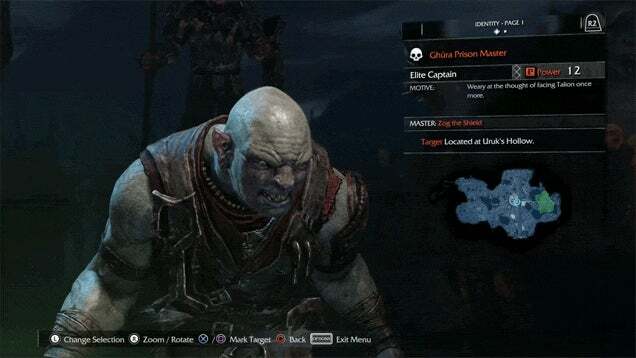 This time I'm talking about "Shadow of Mordor", an open-world game in which the world and the main story are the same for every player, but orcs are procedurally generated, evolve based on player choices and able to keep shaping the world on their own. It's like a living society of orcs, always with their internal fights and traditions, populating the world. Players may affect these creatures killing their leaders or favoring a certain captain, changing the whole society and the world itself. Using procedural generation doesn't mean we should be giving up on traditional narrative, not at all, but it can be a rather amazing tool to create new experiences, and I'm sure we'll be seeing more of this in the future. Sometimes we are too ambitious, we want to have a thousand verbs and we tend to forget there's great beauty in the tiniest of actions. The first time I held Yorda's hand in ICO will always be one of the most emotional moments I've experienced in a game. It wasn't shooting a gun, building a city or flying around; just holding a virtual hand, and it was amazing. 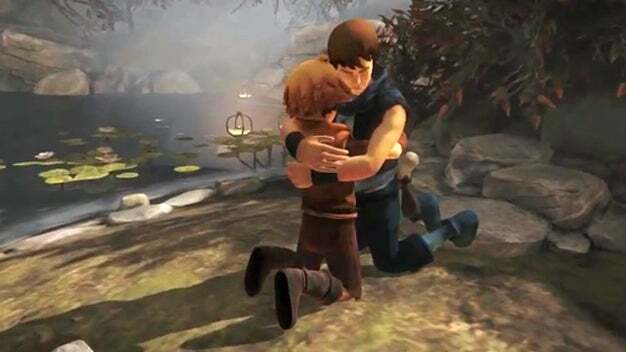 I experienced something similar when playing "Brothers - A Tale of Two Sons", a game which is able to communicate complex feelings without words, just with the movement of the two main characters. I'm afraid this is the one game I won't be telling much about, as it'd spoil the experience for those of you who haven't tried it yet, but moving both brothers at the same time is the game's main mechanic and you wouldn't believe what the devs were able to create with what appears to be such a simple tool. Changing the way we interact with a game can also affect how we perceive the world and its narrative, and we should make use of this more often. We're always moving forward, crafting bigger games with deeper systems, but let's never forget how powerful and meaningful simple interactions can be. Games belong to the players as much to the devs who made them. We create the worlds and the rules, but players are the ones who bring them to life . 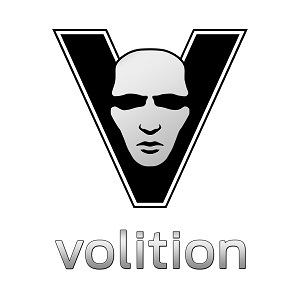 We are creators and express ourselves through art, code, design and audio; players express themselves through input. Even when you're playing a Mario game you're expressing something, just moving around and choosing when to jump. Making thousands of tiny choices, that's how we leave our mark in games. 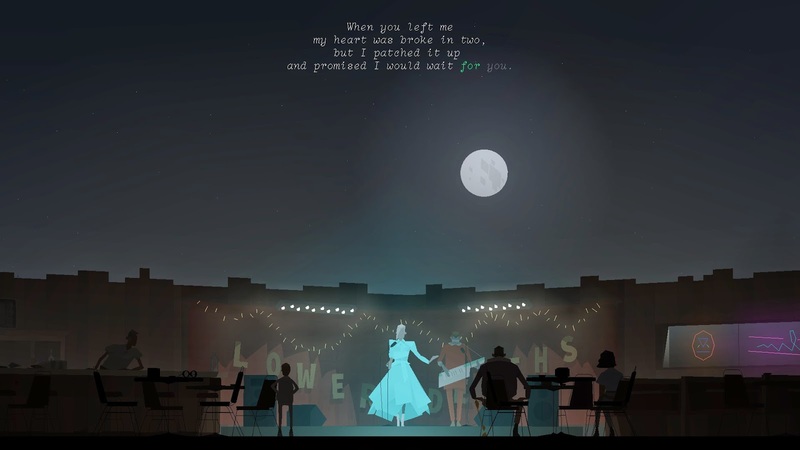 Sometimes we forget player choice isn't about changing the plot or the world, is just about saying "this is me", and "Kentucky Route Zero", another fantastic game, does a great job at reminding us how important player expression is. Right at the beginning of the game the player is asked to decide the name of the dog that shares their journey. Choosing one name or another won't change the plot or anything important and "Kentucky Route Zero" is filled with dozens of these tiny decisions. Games tend to ask you questions like "Do you want to kill or save this character?" but something as simple as "How do you feel about this?" might be more important even when it seems to be less meaningful. Game narrative is crafted by both developers and players, so we must ensure there's always a place for the latest. Games have provided us with tools to communicate in new ways we have yet to explore. It's great to learn from different kinds of culture, but at the end of the day we must find our own way and use our greatest strenght, interaction, to our advantage. These were just some games that did something cool with interactive narrative, but there's plenty more out there. We need to keep looking for new solutions to blend together gameplay and narrative, pushing the limits of what we know. Hopefully this text will encourage you to experiment and keep thinking of new ways we can talk using mechanics and how our stories can benefit from interaction. If there's anything you'd like to add just leave a comment, though you can also find me on twitter.